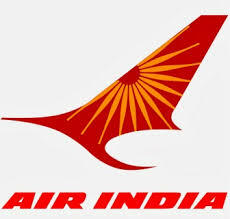 AIESL Recruitment 2017-2018, 07 Junior Executive (JE) Posts Application Form at www.airindia.in. AIESL Junior Executive (JE) Jobs Notification 2017 Released. The Interested and Eligible Candidates are requested to Download Application through Official website. Prospective candidates will have to before Walk in Interview carefully reading the advertisement regarding the process of examinations and interview, eligibility criteria, Offline registration processes, payment of prescribed application fee/intimation charges, AIESL pattern of examination, AIESL Syllabus, AIESL Question Paper, AIESL Walk in Date, AIESL Result Date Given Below. AIESL Walk-in Recruitment 2017-07 Junior Executive Posts – Apply Now. The above experience should be in aviation industry/Airline/MRO/Manufacturing Units in the field of Materials Management/Stores (i.e. inventory management/procurements /stock room functions/logistics management, etc.) and appropriate knowledge in working on ERP system as well as related knowledge and skills of working on various software applications like MS Office/Word/Excel/PowerPoint etc. Candidates must have experience in a reputed midsized company / PSU /Govt. Undertaking. 35 years this would be relaxable for SC/ST/OBC/Ex-Servicemen candidates as per rule / Govt. directives in this regard.